Coconut Oil is one of the few foods that can be classified as a “superfood.” It has a unique combination of fatty acids can have profound positive effects on health including fat loss and better brain function. Because of its high saturated fat content, it is slow to oxidize and, thus, more resistant to spoiling. Just like other oils, coconut oil can be infused with cannabis to create an amazing infused oil for your culinary creations. Coconut cannaoil can be substituted in many recipes. It’s is a great substitute for butter in many recipes. 1 oz of your favorite weed. If you’re using trim or shake, 2 oz will be needed. The more potent your weed is the more potent your oil will be. Grind up your cannabis. I typically start with shake, but if you have some buds, you can break them up and then grind them. When grinding a 1/2 oz or more, a coffee grinder is a great tool to use. Just make sure it is clean! In a small crockpot, combine the coconut oil. Add about 1-3 inches of water so the oil will float. Set your crockpot to high heat and cover until the coconut oil has liquified. Patience. You need a lot of it for this recipe! Once the oil has liquified, add your weed and turn your crockpot down to low. In order for the THC in your cannabis to properly decarboxylate, you need to slowly heat it, so take your time. 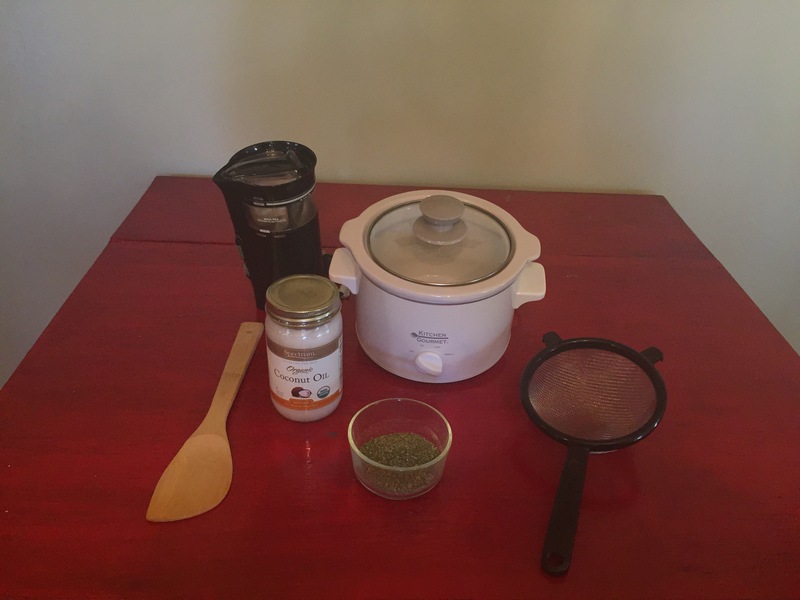 With the crockpot method, your cannaoil will need to simmer on low for 12-16hours. The water in your crockpot will help regulate temperature, so make sure it doesn’t evaporate too much; if you need to, add more water. Ever few hours flip down to warm for about 30 minutes to help regulate the temperature. You’ll also need want to stir the mixture occasionally. Turn your crockpot off and uncover your oil. Let it oil cool for 30-45 minutes. Once it has cooled, pour the oil through a metal strainer to filter out the plant matter. Press the wooden spoon against the remaining marijuana in the strainer. This will help you get all the cannaoil out of it. Once you’ve done this, you can throw away or compost the stuff left in the strainer. Take your oil and water and store it in your refrigerator over night. During this time, the oil and water will separate and the oil will rise to the top. Remove the hardened coconut oil from the water. The hardened coconut oil will be a solid green chunk of oil that’s ready now ready to use! Warm it up and drizzle it over pasta with some veggies or use it in a tasty cake or other culinary masterpiece. 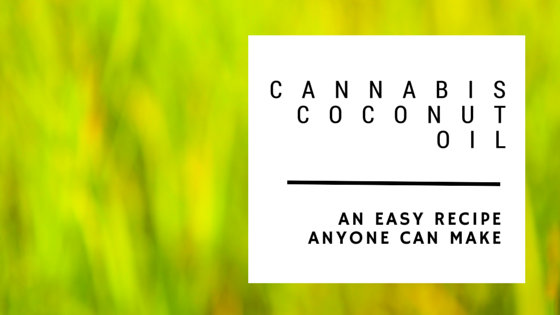 Your coconut cannaoil should be refrigerated and stored in an airtight container. If you store it properly, it will last for up to 2 months. Just a friendly reminder, when you cook with cannabis, go slow. 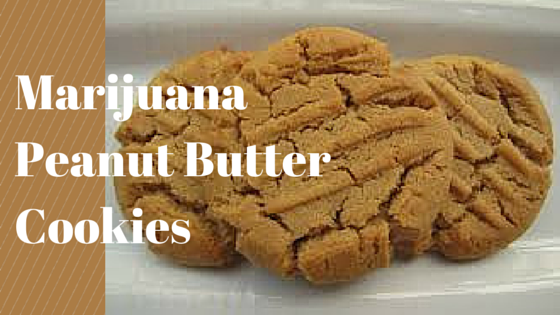 While your edibles will be delicious, they can be potent, so start with a little. You can always have more. 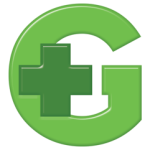 While you’re here, find great deals at dispensaries near you! thanks so much cannot wait to try this for my son! !